60-Second Super Bowl Commercial Captured the Emotional Surprise for Millions of Hyundai Owners Who Made an Impact on Pediatric Cancer. For the first time ever, Hyundai featured its non-profit organization, Hyundai Hope On Wheels, in its Super Bowl marketing. In an emotional commercial that opens with fans streaming into what they think is part of the Super Bowl Experience driven by Genesis, they enter what appears to be a typical security checkpoint with metal detectors. As part of their process, they place their keys in a bin. As they go through the device, suddenly a red heart lights up above the heads of Hyundai owners and they are pulled aside for what seems to be a secondary screening. At this point, they enter a darkened room that suddenly lights up with an emotional video of pediatric cancer survivors and their families thanking them for their donation to pediatric cancer research by being a Hyundai owner. The devices outside the room were, in fact, Hope Detectors-detecting the hope that Hyundai owners provided through donations to pediatric cancer research with the purchase of every Hyundai vehicle over the last 20 years. 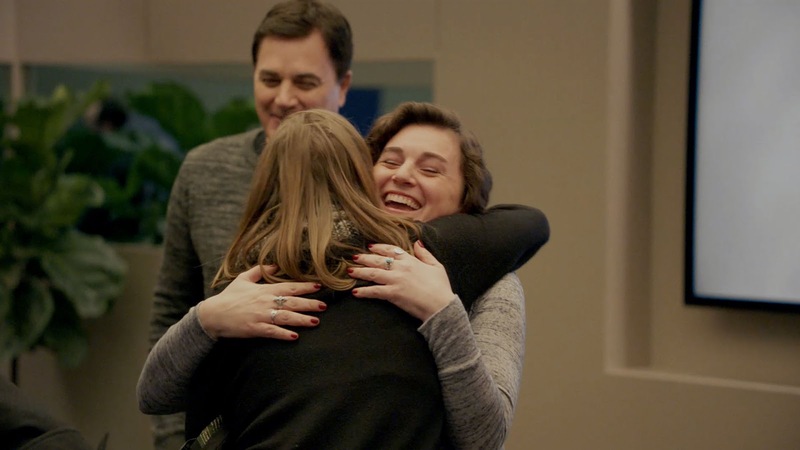 In an emotional surprise, real life pediatric cancer survivors come from behind a false wall to surprise and thank Hyundai owners in person for their contributions. The emotional union happens as the two families are in tears and hug as they greet each other. Note: Hyundai originally intended to use some footage captured on game day in its Super Bowl ad. As the commercial was being created this week, the decision was made to forego game day content as the storytelling was complete without it. AdStasher: Hyundai's Super Bowl LII Commercial: "Hope Detector"